Charming, bright, sunny, comfortable room with private bathroom close to beach,world famous Santa Monica Pier, shops, world class restaurants and convenient to all major tourist attractions and bus routes. Full size bed and private bathroom featuring a claw foot tub. Bright and sunny living room. Relax on our sunny porches. Enjoy a healthy breakfast made with eggs from our own pasture chickens and produce from our back garden. Additional room is available, if you would enjoy a separate bedroom, available at a reduced rate. Please note that this room would be not available for a separate party. Also, please note we do have dogs! Major Tourist Attractions: Visit famous Venice Beach, walk to the beach and the Santa Monica Pier, wonderful shops and restaurants. Easy access to Disneyland, Knottsberry Farm, Magic Mountain. Spectacular beaches and hiking. This property is charming, comfortable and in the best location! It is within walking distance to Main Street, the Pier, the beach, 3rd Street Promenade and easy access for the freeway and very convenient for the #3 bus. If you love dogs, you'll fee right at home here, Ruby and Robert and well trained and very friendly, especially Robert, who loves his belly rubbed. You'll also enjoy a lovely breakfast made to order with eggs from Chickens on the premises. Private bathroom with claw foot tub. Please note there is no shower, only a hand set in the tub. Fabulous hosts, allowed absolute privacy and totally relaxed. Breakfast was great. Great host!! The place is very comfortable and convenient. Location is very central. Clarence House is comfortable and beautiful. It's a 20 minute walk from the Santa Monica pier, but the beach is much closer. There are plenty of low-cost food options nearby, and the neighborhood feels laid-back and walkable. The hosts are friendly and make a great breakfast, and we felt very at home during our stay. Stayed at the property at 720 Strand in Santa Monica for 5 nights while completing our trek on RT66. At first blush, we thought maybe the double bed and showerless bath might be a hinderance, but not so. Place was quiet and loved having Ruby and Robert (the dogs) as company. Paul and Amanda were perfect hosts. Breakfast was made to order every morning with FRESH eggs from their chicken coop! Heartily recommend to anyone wishing to stay there!! Great Room, Beautiful House, Great People! Wonderful room, beautiful house, all spotlessly clean and super comfortable. Location is excellent, easy parking, all arrangements friction-free. Really enjoyed breakfast, too. Amanda and Paul are awesome hosts. An excellent choice. 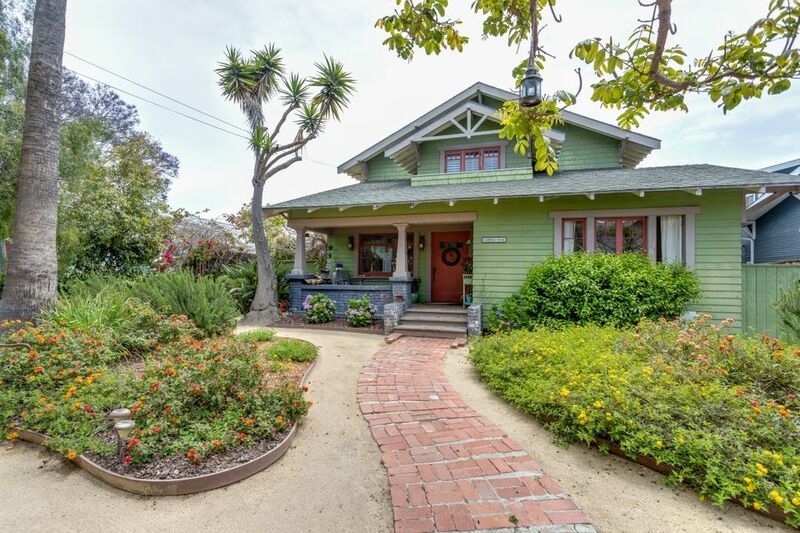 Bed & Breakfast in charming Craftsman home in Historic Ocean Park district of Santa Monica. Walk to beach, 3rd Street Promenade, Main Street, world class shopping and restaurants. Convenient for bus routes and airport. Convenient for all major tourist attractions.